Don’t Settle into Your Hotel Room Just Yet, Always Do a Bed Bug Check! Concerned about the potential for a bed bug infestation in your establishment? The NJ pest control experts at Stern want you to know that although you can’t keep bed bugs out of your rooms, there are actions you can take to protect the reputation of your hotel and ensure rapid eradication. Everyone on staff should know how to ID these pests. Study bug characteristics in all stages, including eggs, colorless or red nymphs, adult bugs which look similar to wood ticks, and the shape and color of bugs pre/post feeding. Regularly review photos of bed bugs and the casings they shed as they grow, as well as evidence of feces (black spots like grains of pepper) and small blood stains on mattresses and linens where they feed. Train ALL hotel staff to watch for bed bugs, from those who handle luggage to those who launder linens. 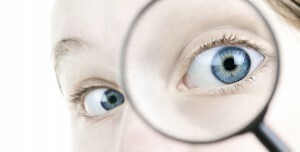 They can help you identify an infestation in its infancy. Train housekeeping staff to examine beds, bedding, luggage stands and baseboards for signs each time they service a room. Store dirty and clean linens separately. Always have staff store belongings away from cleaning/laundering areas. Periodically remove and inspect behind headboards. Guest report a bed bug infestation? Trap the suspected pest on a piece of tape or place in a jar/bag. Then contact the trusted NJ pest control specialists at Stern Environmental. No one wants to think about the fact that their home or business could be infested with rats. And yet, in our area of the country, these pests are far too common. Before contacting NJ pest control, it’s helpful to know if what you’re dealing with is in fact a rat problem. There are several ways that you can tell. 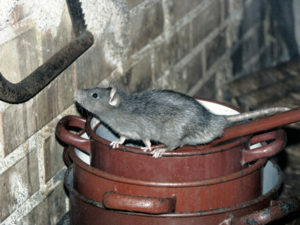 – Finding rat droppings near food, including dog or cat food dishes or containers. – Hearing sounds coming from the attic once it begins to get dark. – Finding old rat nests near firewood stacks. – Evidence that rats are eating fruit or nuts that have fallen from trees in the yard. – Burrows beneath garbage cans or compost bins. Because rats are so good at hiding, it can be hard to notice an infestation until it’s gotten out of control. Traps may not be enough to deal with them. You may need the help of the NJ pest control specialists here at Stern Environmental. No one wants to deal with a rat problem. If you think you might have an infestation, please contact us right away! Making it through another long, cold winter is certainly reason to celebrate. But the fact that spring is here makes NJ pest control specialists have to pick up the pace because there are some different pests we’ll need to be focusing on. Carpenter bees are just one of them, but they are a problem for a lot of people in the state. Some people think that carpenter bees got their name because they eat wood, but that is not accurate. The females actually create holes in wood so they make a place for nests for their young. These pests are fairly large; about three-quarters to one inch in length. People often mistake them for bumble bees, but they’re not the same. Unlike other types of bees, they don’t live in colonies. Rather, they’re independent. What Types of Damage Can Carpenter Bees Cause? Carpenter bees can do a lot of damage to the exterior of your home. It’s common to find them in decks, porches or wooden railings. They’re relatively harmless because the male doesn’t have a stinger, and the female only stings if she’s handled. Still, no one wants carpenter bees hanging around their property. Your NJ pest control specialists can help if you’ve seen them hanging around your home. They are a nuisance pest, but it often takes a professional to deal with them. Contact us! 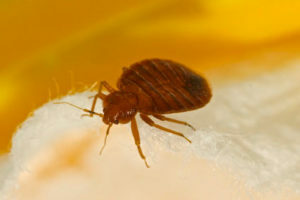 To fight the spread of bed bugs on and off campus, Hampshire College in Amherst, Massachusetts is informing its students on the matters of bed bugs, urging them to seek medical attention for suspected bites and to report suspected infestations to the college’s housing office. Like NJ pest control specialists, the college’s primary mission is to prevent the spread of the pests. It has warned students not to dispose of bedding, furniture, or other potentially infested items from housing. When infested items are left out on the street by well-meaning students attempting to address the problem, they are commonly picked up for use by other unsuspecting students for use, spreading the problem through campus housing. Hampshire College has also urged students not to try and treat the problem without first reporting it to the housing office, which can provide the students with proper bed bug control measures. For those with suspected infestations, the college is conducting room inspections and furnishing students with bed bug monitors. If an infestation is confirmed, the college will relocate students prior to treatment by a licensed bed bug specialist. Any items moved with the student must then be carefully inspected prior to its relocation to avoid spreading these pests. Don’t let bed bugs party in your dorms. Safeguard student housing with the help of the NJ pest control experts at Stern Environmental today.